Today the NTSB issued an alert warning “pilots using in-cockpit FIS-B and Satellite Weather display systems that the NEXRAD "age indicator" can be misleading. The actual NEXRAD data can be as much as 20 minutes older than the age indication on the display in the cockpit. If misinterpreted, this difference in time can present potentially serious safety hazards to aircraft operating in the vicinity of fast-moving and quickly developing weather systems.” To put it more bluntly, pilots are dying because they’re unaware that NEXRAD data is much older than the 1 or 2 minute “age” they see on the screen. 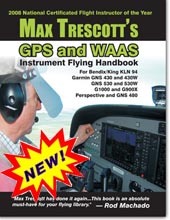 This is old news, but somehow pilots seem to believe anything they read on a GPS or computer screen. 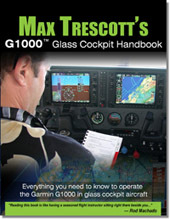 I discussed the issue in detail in my Max Trescott’s Garmin G1000 Glass Cockpit Handbook, now in its 4th edition. 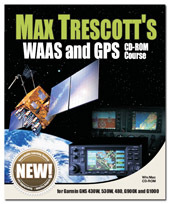 Chapter 8 is devoted entirely to Onboard Data Link Weather, such as the services provided by SiriusXM, previously known as XM Weather, that pilot view on their portable GPSs and glass cockit displays. NEXRAD Radar data, one of the most used yet most misunderstood in-cockpit weather services, is described in detail. My section on the age of NEXRAD radar data says in part: “In the best case, some of the data you view in a NEXRAD image is at least eight minutes old. In precipitation mode, it takes five minutes to complete a scan of the atmosphere at the radar site. 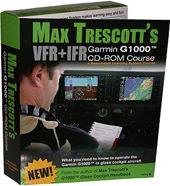 The data is sent to a central NWS computer where it’s processed for a couple of minutes and then sent to SiriusXM®, which distributes the data your G1000 or Perspective system receives. Updates are broadcast to your system every five minutes. I fear we live in an age where many pilots—even some technically literate ones—believe everything they read on a computer screen. Sadly, failing to understand the limitations of data on a GPS or moving map can kill pilots. Just two weeks ago, I made a note to write a blog story on this topic when I ran across the following two accidents. In both cases, pilots were killed trying to pick their way through a line of thunderstorms, most likely with NEXRAD radar data they didn’t know was at least 8 minutes old. Even the Cirrus pilot apparently didn’t understand his equipment, as I’ve never seen a Cirrus with onboard radar. Undoubted, he too was using data link weather. Sadly, the Bonanza broke up in flight and the 790-hour pilot was killed. The second accident, which occurred just last month on May 31, 2012, also involved a Beech Bonanza. According to the NTSB’s preliminary report, “center controller advised the pilot of extreme precipitation at the airplane's 12 o'clock position… The pilot acknowledged the information and added that he was looking at it, and evaluating if there was any way to get through it…. At 1633, the controller asked the pilot if he had weather radar onboard, and the pilot replied that he had ‘Nexrad Composite’." Aircraft wreckage was spread over 1.25 miles, possibly as the result of an in-flight breakup. To sum it up, NEXRAD data tells you where the storms WERE, not where they ARE. Pilots need to STOP USING NEXRAD TO PICK A PATH THROUGH THUNDERSTORMS—under penalty of death. Is there a way to tell how old the _data_ is that's being displayed on Serius-XM or FIS-B? Or is that (crucial) information not available in the cockpit? Brad, in a word, no. The time delay depends upon whether the radar site operator has selected “clear air mode” or “precipitation mode.” My G1000 book goes into more detail about these modes. Minimum age by the time data hits your screen in precip mode is probably around 8 minutes. In clear air mode, it's probably around a minimum of 13 minutes old. You would need to add these numbers to the "Age" shown on your screen to estimate how old the data is.